You have 1 engine choice, the 1.8 litre petrol hybrid automatic which returns up to 94.1mpg. The ride being smooth, quiet and comfortable, even at motorway speeds. 0-62mph takes just 11.3 seconds. 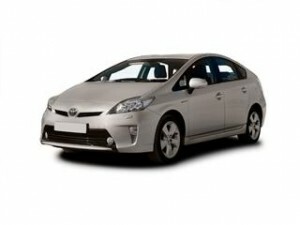 The automatic gearbox is also very smooth especially in sport mode which makes the Prius+ quite nippy. The interior is as spacious as they come, with excellent comfort for all 7 occupants. The Toyota Touch 2 multimedia system was added in 2016, this makes the car’s infotainment system simple to use. Boot space is 200 litres with the rear seats up and a gargantuan 1,750 with the seats folded flat. The huge panoramic sunroof that comes fitted as standard further adds to the spacious feel of the interior. The Toyota Prius+ saves you money long term and we can save you money purchasing it here at Coast2Coast Cars as we have access to a range of offers for any spec and any model. Avoid paying list price if you use our online offers quote system you could save £1,000’s on your new purchase. It couldn’t be any easier, all you do is fill in the car build form, choose your desired spec and view the final price options we find for you. You could even see the various finance options that may be available to you.